State Duma Deputy Vladimir Pekhtin asked to be temporarily relieved of his duties as chairman of the Duma's Credentials and Ethics Commission until the conclusion of a probe into allegations that he failed to declare more than $2 million in property holdings in the U.S. state of Florida. Although other senior officials have become mired in corruption scandals recently, they are rarely felled, or even appear to stagger, from accusations that originate in the opposition blogosphere. Unlike former Defense Minister Anatoly Serdyukov, who was fired after investigators opened a corruption case last year, Pekhtin, a founding member of the ruling United Russia party, is in the hot seat thanks to a scathing expose published by opposition leader and whistleblower Alexei Navalny on Tuesday. "Ignoring what Navalny is saying or posting has been routine. He's done this so many times. Except for really medium or low-rank officials, nobody has responded in this way," Masha Lipman, an analyst with the Moscow Carnegie Center, said by telephone on Thursday. Experts gave several possible explanations for the unusual step, including Pekhtin's position on the ethics commission, and the falling political star of a once-powerful politician. They speculated that it would not have a large impact on public opinion, however, because most Russians already believe that the nation's elite have real estate and bank accounts abroad. Pekhtin denied wrongdoing, asserting that he had never owned property in the United States and that the real estate in question belonged to his son, Alexei, the lawmaker wrote in a statement on United Russia's website posted on Wednesday. He also asked the Duma commission that oversees income and other declarations, headed by former Federal Security Service director and United Russia Deputy Nikolai Kolvalyov, to check the claims, the statement said. The Duma's top ethics monitor would have looked bad if he had not flinched in the face of potentially serious ethics violations, said analyst Alexei Makarkin of the Center for Political Technologies. "It would have been very strange and brought criticism upon the Duma and United Russia if he had stayed," Makarkin said by telephone on Thursday. Makarkin described Pekhtin as somewhat of a political has-been whose clout has weakened since the early 2000s, when he headed the Duma faction of the Yedinstvo (Unity) movement, which united with another bloc to create United Russia in 2003. To make matters worse, Pekhtin, a deputy since 1999, has been accused of flouting declaration rules on more than one occasion. In September, Deputy Dmitry Gudkov, a member of the Just Russia party and an active supporter of the opposition movement, accused him of failing to declare eight plots of land worth at least 71 million rubles ($2.4 million). The claim was dismissed by the income declaration committee due to a lack of evidence, but this time, Pekhtin is up against "not simply weak suspicions, but a collection of very serious arguments," Makarkin said. Pekhtin's fellow party members appeared ready Thursday to give him the benefit of the doubt, with Duma Speaker Sergei Naryshkin praising Pekhtin's behavior amid the scandal as "very honest and correct," Interfax reported, and Kolvalyov, the man whose commission will determine his guilt, telling RIA-Novosti that U.S. law enforcement might be asked to check the material evidence. U.S. public documents published by Navalny appear to show that Pekhtin and his son co-own two luxury apartments in Miami Beach worth an estimated $540,900 and $1.3 million, respectively, as well as a private villa in Florida worth $400,000, Navalny wrote on his blog on Tuesday. Initially, Pekhtin seemed to flip-flop on whether he owned property abroad, saying he owned "practically no" foreign real estate, then, when pressed by a reporter for the Izvestia daily, adding, "I don't own any [foreign property] at all! I've lived here my whole life, in Russia." He has repeatedly said he would not exclude the possibility of suing for defamation of character. Lipman and Makarkin agreed that the scandal was unlikely to budge public opinion because Russians already believe that senior officials have foreign bank accounts and real estate. Eighty-seven percent of respondents to a November poll by the independent Levada Center said they believed that "many" or "very many" senior officials, including governors and federal lawmakers, have bank accounts and real estate abroad. The lifestyles of the rich and powerful — often seen as fueled by tainted earnings — contrast sharply with how many Russians live, a yawning gap in the standard of living that breeds resentment. A poll conducted last year found that 78 percent of Russians had never been outside the borders of the former Soviet Union, and 20 percent of Russian apartments did not have running hot water, according to a recent study by the Russian Union of Engineers. On Tuesday, President Vladimir Putin submitted a bill to the State Duma that seeks to ban government officials — as well as spouses and children — from holding overseas bank accounts or owning foreign-issued bonds and shares, an ostensible anti-corruption measure. Ironically, Navalny's compromising material, known as "compromat" in Russian, which has "exposed" the foreign activities of top investigator Alexander Bastykin, Deputy Sergei Zheleznyak and now Pekhtin plays into the hands of Putin, Navalny's political archenemy, Lipman said. Pekhtin is the latest deputy to become tangled in a corruption scandal recently. A Just Russia's Gennady Gudkov Dmitry's father lost his seat in September after deputies decided that he had violated rules that prohibit lawmakers from doing business on the side. 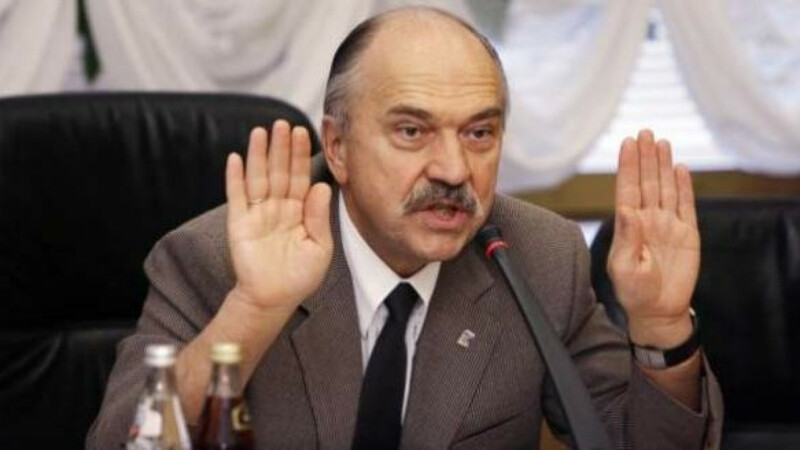 A month later Alexei Knyshev of United Russia resigned in the face of similar accusations. On Wednesday, deputies stripped parliamentary immunity from Communist Deputy Konstantin Shirshov, whom prosecutors accused of trying to sell a Duma seat for 7.5 million euros ($10 million), and prosecutors have asked deputies to do the same for Oleg Mikheyev of A Just Russia, whom they say is guilty of real estate fraud.